Meet our incredible board member, Becki Brommel. Becki is an attorney in Des Moines and practices in the area of litigation and primarily administrative matters, especially those involving health care. 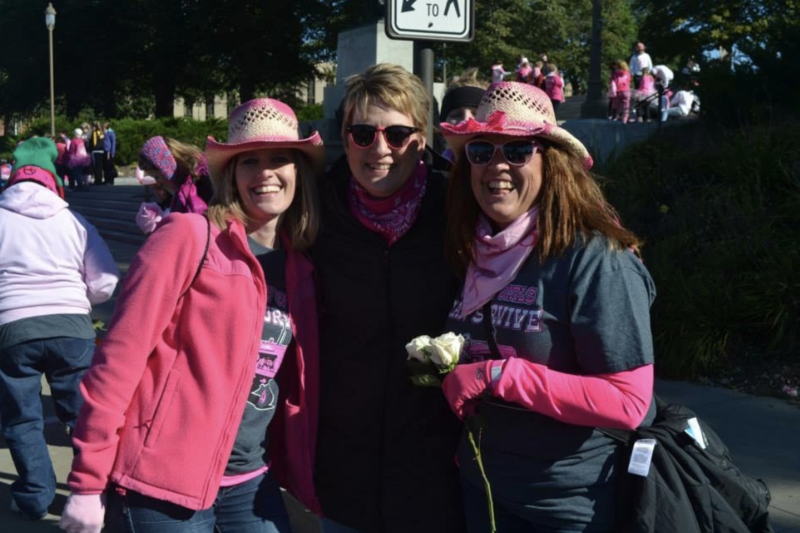 She is a wonderful resource to our Komen team and community! Learn more about her below. I grew up in a small town, and it was always part of my parent’s lives to give back to the community in some way by serving on boards or committees. 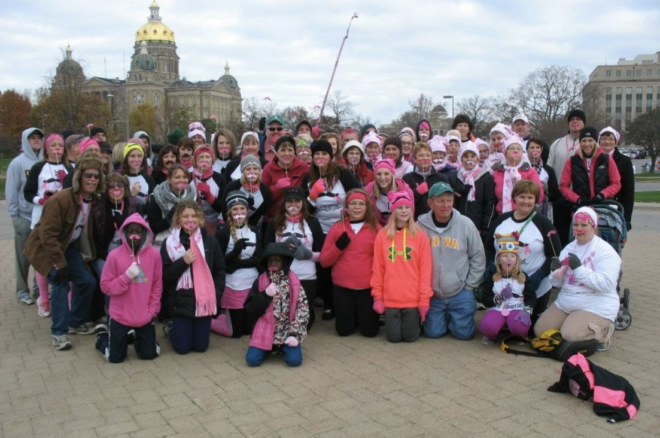 I was at a point in my career where I felt like I had enough experience to make an impact on a non-profit Board, and Komen Greater Iowa (which was Komen Des Moines back then) was a great fit with my passion for helping to end breast cancer for not only my sisters, but for all individuals who have been affected. Both of my sisters were diagnosed with breast cancer when they were 44 years old. 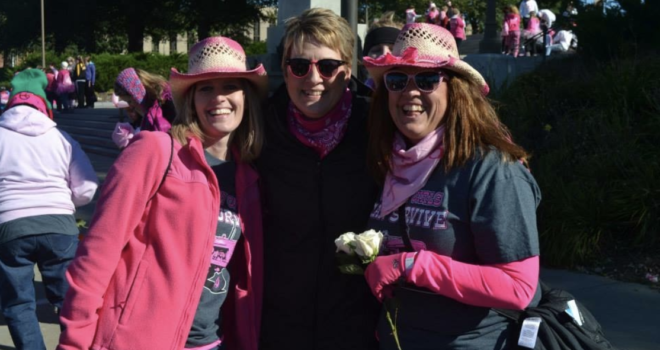 I have been with them (and continue to be with them) through the journey of breast cancer, and I have seen the toll it takes on individuals and families. As a woman with a high risk of cancer, I am also affected in that I personally undertake additional screenings and precautions that many women my age do not have to undergo. As an Iowan, I am also affected by the fact that 1 in 5 women in our state are diagnosed with breast cancer – that is higher than the national average (1 in 8), and thus, we need to continue to do more. I get excited about the fact that we are making an impact directly in our community through our grant funding. 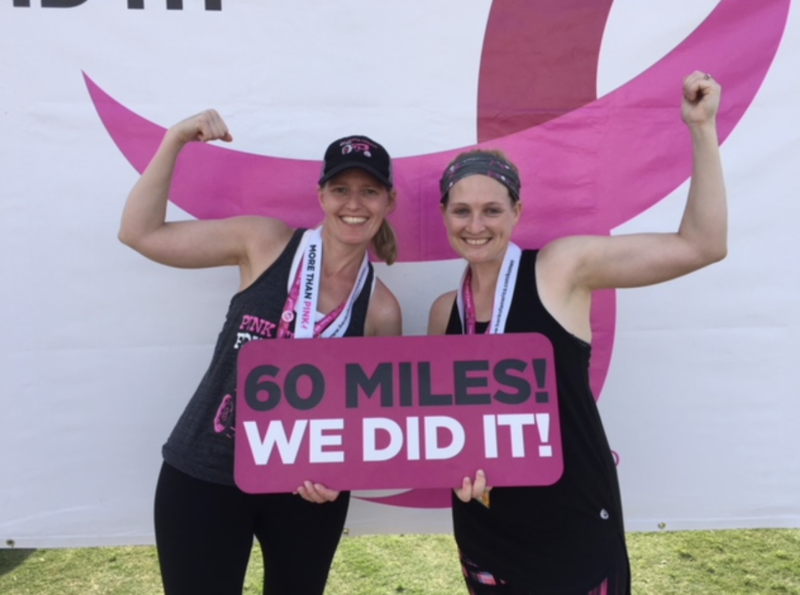 When I hear a story about how one of the mammograms paid for with one of our grants help find breast cancer in someone who otherwise would not have know, it energizes to me keep working towards our goals. I also get really excited about all the new research advances that we (along with all the Komen affiliates) help fund – I see the changes that have been made even in just the past ten years since my oldest sister was first diagnosed, and I am so thankful that we can help advance the ball in treatment and towards curing this disease. Come to our wonderful events (Race for the Cures, golf outing, Keeping Promises) as a participant and/or a volunteer. 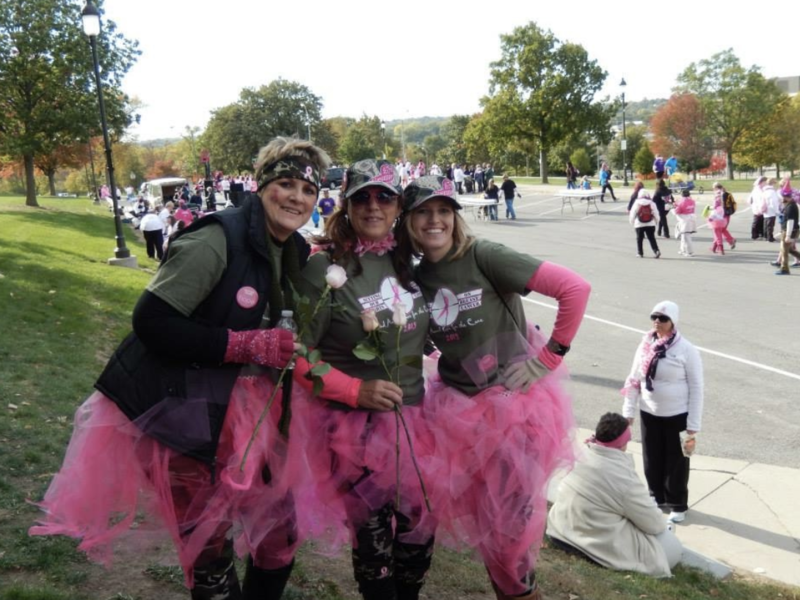 Host a fundraiser of your own (with a pink theme, of course!). Raise and donate funds – providing needed services to all women and research costs money. Funds are desperately needed to fund these worthy programs and research endeavors. Thanks, Becki! If you know Becki or happen to meet her, please thank her for her time and commitment to our mission.